Things are not looking good for the Beautiful girls crooner. 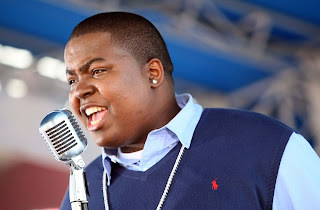 Troubled singer Sean Kingston is in Jewelry debt again, as he continues to rack up unpayed bills for Jewelry he collects but can't pay off. The Broke singer who loves bling like there's no tomorrow seems to forget that these things have a price tag—and very huge ones for that matter. Currently, not only is the singer too broke to pay for his bling, he is also so hard up, he can't afford a lawyer to get him out of the legal Jam his bling obsession has landed him. Sean was ordered by a court to pay a jeweler in Florida $44,000. Unfortunately he didn't—couldn't obey the court order. He claims he knew nothing about the order, because he thought the papers he got were for another case, and that's why he ignored them. He also asked the Judge for leniency as he suffered health problems after being allegedly assaulted and robbed recently. Florida based Haimov Jewelers are demanding outright payment from Kingston, and denied claims that he has reached out to them with a payment plan. In the midst of all this serious legal drama, Sean Kingston, still showed off his jewelry on a recent Instagram post. I mean the guy is playing with fire. The talented star was destined for superstardom after his 2007 hit 'Beautiful girls' made it to the top of the Billboard charts and stayed there for weeks. But he has rarely lived up to expectation, as his career and finances are usually in tatters, and he spends more time in debt court these days than anywhere else.